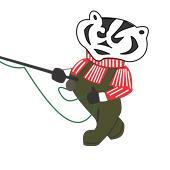 The Badger Fly Fishers Spring Opener, our annual fundraiser, is held every year on the 2nd Saturday in February. For 2019, please reserve the date of Saturday, February 9th and plan to attend this celebration of the wonderful sport of fly fishing. Pat Dorsey will be our guest speaker for the day. A bit about the Badger Fly Fishers Spring Opener: The 2019 event will be held at the American Family Training Center, Building A, 6000 American Parkway, Madison, WI. The event runs from 8:00 am to 5:00 pm and features guest speaker Pat Dorsey giving two presentations. One presentation will be about Western Tailwaters and the other about Colorado’s Best Trout Streams. The event also includes 20+ fly tyers providing helpful tying instruction, a trade show with 20 or more vendors, a chance to win a wide assortment of fly fishing related materials in bucket raffles and a live auction providing a chance to bid on all things fly fishing. Here are links to lists of the magnificent bucket raffle and lively auction items. Admission for the day is $10 for adults. Children under 15 admitted free. Lunch on-site is available for a nominal charge. All are welcome to attend. The Spring Opener event poster includes some additional information and a map with driving and parking directions can be found here. Pat Dorsey is a Denver, Colorado based fly fishing guide that has been pursuing selective, Rocky Mountain trout for over thirty-five years. His vast knowledge and expertise makes him a true authority in the fly fishing industry. Pat is a co-owner of the Blue Quill Angler, a full-service fly shop and guide service, serving customers since 1988 from the same location in Evergreen, Colorado. He has worked at the Blue Quill Angler since 1992. Throughout his journey, Pat’s unique niche has been teaching people how to fly fish. Whether you’re a novice or seasoned veteran, a guide trip or clinic with Pat elevates your fly fishing game to the next level. You can read more about Pat at his website Pat Dorsey fly fishing. The 2019 Spring Opener fundraiser on February 9, 2019 was again a big success and much fun was enjoyed by everyone! Below are a few fun and happy people pictures and here is a link to the Badger Fly Fishers’ Facebook page with a few new posts and lots of great pictures. Thanks for attending our event and thus helping to fund local conservation projects that in turn you enjoy fishing! The Buzz says it’s like one large, good virtuous circle that comes back around!!! One of the things we do at our Opener is to recognize someone who has gone above and beyond the call of duty for conservation in our area. To this person we award the Joan and Lee Wulff Conservation Leadership Award.